Separates and protects toes to prevent rubbing and chafing. These soft foam cushions slip between and around toes to protect and comfort sore spots. 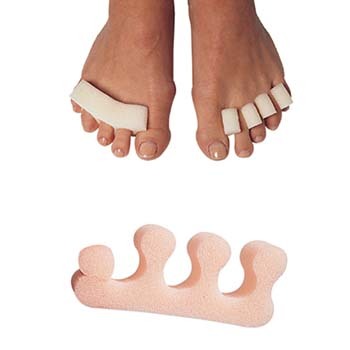 Placed underneath toes, soft foam reduces painful pressure on toe tips. Worn on top, they protect toes from shoe pressure and friction. Great for pedicures, too!